PLEASE MAKE SURE TO SAVE/BACKUP YOUR MAP FILE! > Added Port to server listing to fix some issues for people. > Changed sleep % to 90 to avoid people getting food and water nuked unless most people agree. > Added recipe to fix blue steel hammer head not working press. > Added recipe for sandstone. > Added HC black steel to black steel in press. > Added Zombie flesh back in. > Added recipe for rail craft crusher. > Cleaned up all uses of vanilla bricks and converted them to TFC bricks. > Fixed all clay block recipes to make sense. > Cleaned up and added missing recipes for decoration blocks from RailCraft. > Added recipe to blast bricks from IE. > Added Wool block recipe. > Changed Insulated glass recipe. > Fixed a typo in some arc furnace recipes. > Fixed IE weapons damage scaling being too low. > Added crafting recipe to convert TFC to Vanilla flowers. > Added conversion recipe for TFC bone meal to vanilla. > Cleaned up dye oredic and vanilla flower -> dye recipes. > Removed recipes for vanilla dye. > Changed recipe for Trackman's Notepad. > Finished cleaning up Bibliocraft recipes. > Changed Treated stick recipe. > Attempted to fix all the 'invisible recipes'. > Added blast furnace recipe for Graphite ingots. > Hid vanilla name tag from NEI. > Added End stone recipe. > Added Blast furnace recipe for charcoal. > Removed some extra dye recipes. > Added new light blue dye recipe. > Removed Railcraft crusher bone -> bone meal. > Fixed IE Crusher bone -> Bone meal. > Added Double ingots to metal press. > Added Double sheets to metal press. > Disabled HoloInventory on Biblio map frames. > Fixed Rock Salt Mud Brick name. > Fixed White Elm Case name. > Fixed Sycamore Case name. > Fixed Sequoia Tool Rack name. > Fixed Reading Glasses Googly Eyes name. > Fixed(ish) some rails missing a name. > Added recipe for packed ice. > Added recipes for horse armor. > Fixed Liquid light blue dye name. > Added Cooking with TFC seed bags to seedBag ordic. 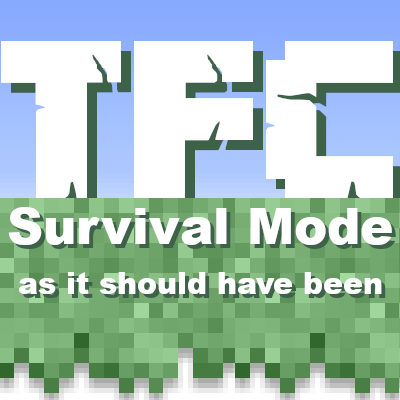 > Added Bottling recipes for bottle-able TFC fluids. > Changed Bibliocraft Atlas recipe.